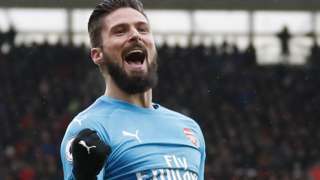 Arsenal manager Arsene Wenger says his side's slow start in games is becoming a problem after they scrape a draw at Southampton. 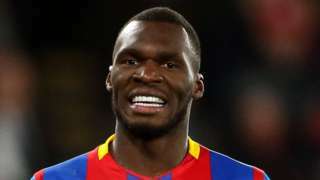 Christian Benteke has an injury-time penalty saved as Crystal Palace come closest to winning a rollercoaster encounter with Bournemouth. Two men have been arrested and nine men have been taken to a place of safety, police say. BBC South Live is signing off for the weekend. 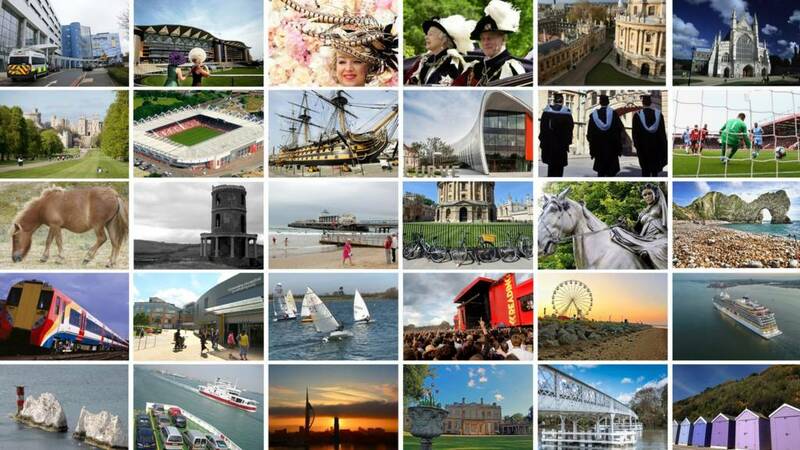 We're back covering Berkshire, Hampshire, the Isle of Wight, Dorset and Oxfordshire on Monday from 08:00. Councillors in East Dorset have made a u-turn by voting to support the merger of Dorset's nine councils into two. 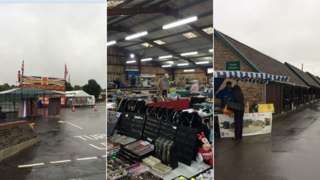 East Dorset District Council had initially been one of three authorities opposed to the reorganisation. Meeting earlier, cabinet members agreed to recommend the authority accepts the Secretary of State's "minded-to" decision to support the merger. The full council is due to consider the recommendation at a meeting on Monday. A second man has been arrested on suspicion of modern slavery offences. A 33-year-old man, from Southport, in Merseyside, is being questioned by Hampshire Constabulary alongside a 30-year-old man from Annan in Dumfries and Galloway, Scotland. 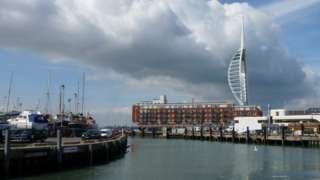 The arrests come after police boarded a fishing boat at Camber Dock in Portsmouth on Thursday and discovered five men from Ghana. Earlier, four more "foreign men aged between 25 and 57 made themselves known to police", a constabulary spokesman said. 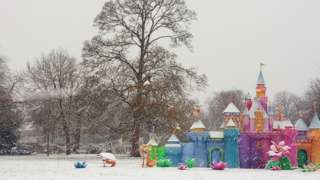 He added that all nine men had been taken to a place of safety and had been referred to the National Crime Agency as victims of modern slavery. Work to redevelop Red Funnel's ferry terminal in East Cowes will begin in January, the operator has said. The first phase will see the demolition of Trinity House depot, adding 60 car parking spaces. Building work on the new terminal will start in 2019, after the company won a planning appeal in August. Border officials have seized £1.5m worth of counterfeit Calvin Klein pants, along with fake Dyson fans, Superdry hoodies and Nike shoes. The authorities are using the hauls to highlight the risk of buying cut-price, substandard counterfeits at Christmas. The Intellectual Property Office is also using humour to fight the fakes. It has created a Youtube series in which a couple sing about their 12 days of rashes, injuries and humiliation due to dodgy Christmas gifts. "Counterfeiters will counterfeit anything," said Sean Gigg, Border Force higher officer at Southampton Dock. "It's based on supply and demand." As snow sweeps across parts of England here are some of scenes of the wintry weather. A funeral service has been held for Gaia Pope, the teenager whose disappearance sparked a major search in and around Swanage. Her body was found 11 days after she was reported missing on 7 November. Family and friends attended a private funeral in Poole earlier. Ms Pope's cousin, Marienna Pope-Weidemann, said the family wanted it to be "a celebration of Gaia's life - a safe space after weeks of fear and anxiety". 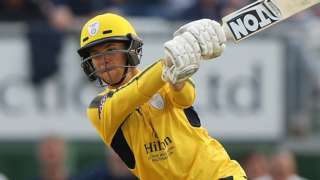 Hampshire wicketkeeper-batsman Calvin Dickinson and pace bowler Chris Sole sign new contracts by the county. 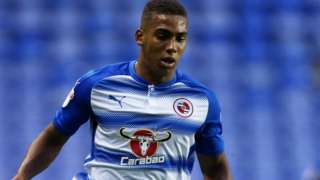 Reading midfielder Andy Rimonhota signs a new contract with the club until summer 2021. Police are appealing for witnesses to an attempted robbery in Newbury during which an 18-year man was threatened with a knife. The victim was walking along Hambridge Road near the Crucible Sports and Social Club at around 20:30 GMT on Monday when he was approached from behind by two men. After demanding he hand over any valuables they then punched the victim five times in the stomach and held a knife to him. Nothing was stolen and the victim was not injured. Archaeological digs found an undated ditch and "a few small pits". Dog attacks on sheep are on the rise in Dorset, police are reporting. Dorset Police said some sheep received "horrific injuries" and had to be put down. There have also been six incidents of sheep worrying since 30 November, with livestock being chased twice in Badbury Rings and at Ringstead, Poundbury, Lulworth and Sherborne. PC Claire Dinsdale said: "Over the last few weeks across Dorset there has been an increase in reports of livestock worrying and attacks on sheep caused by dogs. "These dogs have not been on leads or under close control." PC Dinsdale said: "We would ask all dog owners to ensure their dog is on a lead whenever it is near livestock. "At this time of year farmers may move livestock between fields so be extremely mindful to check." Reading Borough Council's annual scheme to provide extra beds and help for rough sleepers will be activated tonight. Severe Weather Emergency Provision (SWEP) has operated in Reading for many years and is activated whenever the Met Office forecasts three nights or more with a minimum temperature of 0°C or below. A bid to keep a painting at an Oxford college has failed after it was sold at auction for £6,500. The former editor of The Guardian Alan Rusbridger wanted to raise £8,000, so the portrait of the ill-fated Irish model Eileen Henry by William Strang could stay at Lady Margaret Hall. However, 1% of the figure was raised, and it was sold by its owner at Mallams in Oxford. Miss Henry was murdered by the artist John Currie in 1914. Mr Rusbridger, who is principal of the college, only started the crowdfunding page 24 hours before the auction. He described the painting as a "resource to reflect on sexual violence, obsession, the role of the 'muse' and changing ideas of female sexuality". He wanted to keep it at Lady Margaret Hall which was the first college in Oxford to admit women when it was founded in 1878. Sherborne Learning Centre (SLC) in Dorset has been put in special measures after it was rated inadequate by Ofsted inpsectors. The centre is one of several pupil referral units run by Dorset County Council, providing alternative education for students from mainstream schools who have medical and or behaviourial issues, and those who have been or are at risk of permanent exclusion. Specific findings include inadequate teaching, learning and assessments. Interim head teacher Vicci Rashleigh said: "In my view, the inspection is an accurate reflection of our current position. We have been open and honest throughout the process; it is important that Ofsted could see where we are making good progress but also what our weaknesses are." Being put into special measures means that the school has a number of urgent actions to undertake which will be closely monitored by Ofsted. A man has been arrested on suspicion of modern slavery offences on a fishing boat in Portsmouth. The boat was boarded by officers at Camber Dock on East Street at about 15:30 GMT on Thursday. The 30-year-old man, from Annan in Dumfries and Galloway, is currently being questioned. Five men, aged between 35 and 46, have been referred to the National Crime Agency as victims of modern slavery, police said.